Rooting your Android phone is the first path towards customizing your phone for optimum use. Once you have your device rooted, you will not only be able to use certain apps, you can also remove bloatware, boost battery life, make your Android work snappier and faster plus further customize the internal systems for better performance you won’t be able to get from a non-rooted phone. While you may enjoy exploring your Android device, rooted, please remember to alwayshave a backup of your Android device before you begin any attempts to install these30 must-try apps for rooted Android phones in this list. A full Android backup that allows your phone to revert to its most recent stable state is known as NAndroid backup. With Orange backup, you will be able to create a full Android backup right from within the app itself and even upload backups to the Cloud. It also supports scheduled backups and popular Android recovery like ClockWorkMod and TWRP. Overtime your Android will be filled with apps that consume a lot of your battery life, or worse make your device slow down. Greenify will help to identify and hibernate your battery-sucking apps when you are not using them. This is different from freezing the app (which renders the program useless), a method other similar root apps use. Greenify merely puts those apps to sleep while not disabling their function entirely. The frequent display timeout that is causing your device to lose connection when the screen is off can be rather annoying. To retain that connection whenver your screen is turned off you can use Screen Standby for that. It will also prevent your device from overheating especially if you are connecting it via MHL/HDMI for a long gaming or movie streaming session. Stil stuck with Froyo or Gingerbread, unable to run a high-end game? Chainfire 3D serves as the ‘middle man’ between your apps and graphic driver, allowing users to disable or enable graphics to run newer games, even on older devices. This awesomely crafted app works perfectly especially for users with more than one Android device. Sync your data between multiple devices with 3 quick options: over Wi-Fi, Dropbox or FTP. Here is another popular backup app. With this app you can set a schedule backup so that you will always will have that important data saved in your phone. You can easily transfer the backups to your desktop via a USB cable and restore it at anytime with Titanium Backup. BusyBox is an app that combines many common UNIX utilities into a single, small executable. Android is based on Linux which is also capable of running complex UNIX commands. BusyBox simplifies this type of process. Many rooted apps and custom roms depend on BusyBox to run their script and make them work, hence some custom roms would have this automatically installed. Samba FileSharing enables you to project your SD Card storage in your Android and broadcast it all over your network for you to access its files. The settings are similar to what you setup on your desktop and you can even access the shared folder through another Android device too. Here’s a one-in-all tweaking app. There are just so many features and tweaks that you can enable and patch to improve your Android experience. It also includes init.d scripts that are full of tweaks and a simplified version of buildprop to make it easier time to decide on the perfect settings for your device. A very straightforward app where you can keep your ‘Root’ access by saving it as a backup. Once you have the backup, flash over your Android device OTA updates and restore your root permission through this app. Simple! A tweaking tool for your Android device that supports many kernels. One of the fewer apps that allows you to overclock your GPU while having the combined functionality of many other apps in one convenient application. A logcat app where you can find details on what is going on in your Android device. While scanning your logs, Catlog make it easier for you to do stacktraces to debug your apps. A neat tool for developers or testers. Akin to an interactive desktop firewall, this will scan and list all the permissions required by every app you install. Through this list you will be able to customize your own permission settings to decide what kind of data the app can take from you. Don’t worry about losing your settings, because this very thoughtful app will remember them. Not happy with the bloatware your Android phone takes with it? Freeze, uninstall or hide any unsightly or useless app with Root Uninstaller and free up some space for apps that matter. Warning: Removing system app carelessly might lead to a system crash. Know wha you are doing before you do it. Want to breeze through your phone with gestures? Here’s an app that can help you setup multi-touch gestures to run special action commands for your phone or tablet. Certain apps are optimized only for phone, or only for tablet. Market Helper helps you to transform your phone or tablet into the (popular) Android device of your choice, allowing you to download that device-specific app you want from the Play Store. If you ever lost a photo before, DiskDigger is a nifty little app that allows you to dig back all your deleted photos easily. This free app include an experimental feature where you can retrieve even your deleted videos too. Visit this link for the instruction on how to use it. The objective of this app is to force your GPS to lock onto your location as fast as possible. It includes many different customized gps.conf file for you to test, to get the best possible results. You can use your own custom config and apply it via this app too. AFWall+ helps you restrict access to the data networks (2G, 3G or Wi-Fi) to cater to the needs of your apps. This can help you save battery juice and data usage while roaming. Wish you can hide the navigation bar at the bottom of your device to have a real full view of your application? This app lets you hide the entire system bar in fullscreen mode while still keeping two configurable softbuttons which can be changed in position, size, color and transparency (or completely disabled). This app comes with hundreds of custom fonts ready for you to install. Use any custom fonts just by saving it into your device and install it from your device storage. A useful app for users who are dealing with limited storage on their device. This app will help you to move your installed app to the SD card on your device so you can free up more space in your phone memory. Android batteries after long usage may need to recalibrate due to an effect called SOC mismatch. There are many battery calibration apps but this one has a simple UI and a notification that tells you when you have hit a full charge. To start using it, tap on the ‘Battery Calibration’ button when your battery hits 100%. 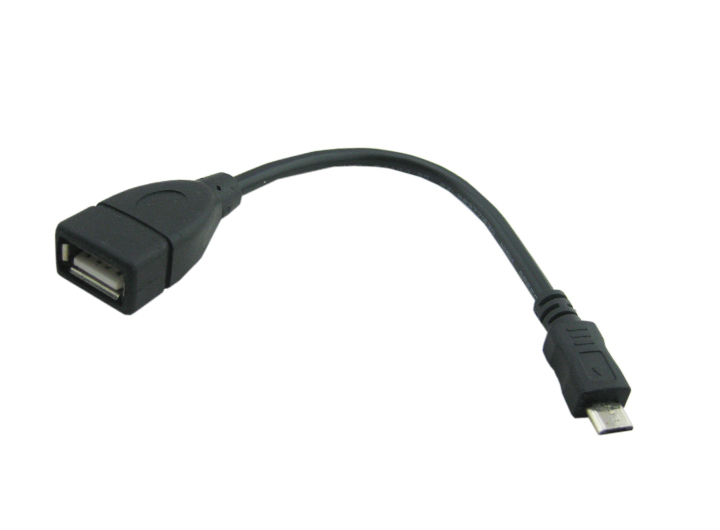 Through the use of OTG cable and by using this app you will be able to automatically mount and dismount USB device that is plugged into your Android. For users you keep a lot of songs in their Android, media scanning is going to take a while to complete. Rescan Media allows you to skip a media scan upon booting and will only run if you started any media app on your device. Tethering is a feature that allows you to turn your smartphone into a mobile hotspot. This app will allow the phone to connect using their respective data network and setup a WiFi hotspot while distributing bandwidth to connected clients. Use Wifi Protector to protect your device from outside attack, especially on public wifi. This app will protect and inform you if there is any live attack on your device including options to enable vibrations or ringtone so you could react to it immediately. Do you have delayed push notifications on your Android device? Get this app which fixes the infamous late notifications from apps like Facebook, Gmail, Twitter and others. You can even set the heartbeat interval to 1 minute to make sure you never late in getting notifications. Root Browser Lite will provide you with all the necessary features on top of root access permission that you need to make changes in your system files. You can view and edit any file or even search for files and folders all within this app easily. For a Lite version this app is pretty thorough. Its ideal to have a rescue system without having to burn your Linux into a DVD or USB pendrives. Host your Linux operating system on your Android and connect it to your PC to have it booted to Linux whenever you need it. DriveDroid also includes some downloadable Linux images in the app for your convenience.